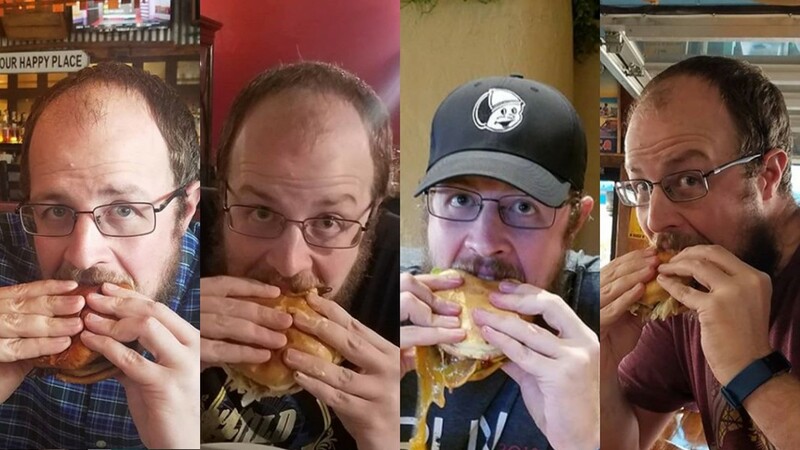 Orlando resident Lee Hale, a carnivorous hero, is attempting to eat all 43 burgers featured in Orlando Burger Week. That means eating four or five burgers a day, a feat of epic proportions. 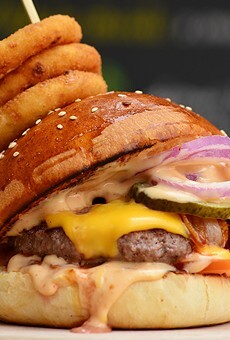 During Orlando Burger Week — actually 10 days, from Feb. 22 to March 3 — Orlando restaurants feature a signature burger for $5 so that Orlandoans can try new places and new takes on the classic hamburger. This is the first year of Orlando Weekly’s latest restaurant promotion. So far Hale has inhaled burgers at Graffiti Junktion College Park, Roque Pub, Hamburger Mary's, The Habit Burger Grill, Beth's Burger Bar in Lake Cay and more. Orlando Weekly: What's been your favorite burger so far? Hale: So far, Bites & Bubbles. The specialty sauce that they put on it makes it a really sloppy burger, but that sauce is amazing. OW: What have you enjoyed most about this experience? Hale: One of the big things I've enjoyed is that I've only been in Orlando for a year and a half – I'm from West Virginia – so I've loved trying all of the new restaurants that I've never been to. OW: How's your stomach taking it? Hale: Awful. I'm full all the time. I'm tired this week and I think it's partially because I'm running around like crazy because I'm working my 8-5 while I'm doing this. It's just so much food. OW: Not to be gross, but how are your bowel movements? Eating every Burger Week burger seems like a real challenge to the system. Hale: It's been a long week. I've had a lot of visits to the bathroom, especially after the jalapeño burgers. I'd say four to five times a day. OW: Are you going to go to the doctor after this? Hale: No, I want to avoid that. I'm thinking of going vegetarian for at least a week so I don't realize just how bad my numbers are. And, you know, ignorance is bliss. 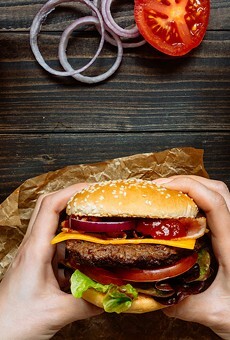 OW: What are going to do when you eat all the burgers on the list? Hale: [My co-workers and I] have been talking about it all week ... As a matter of fact, I have a little bit of a plan, Sunday evening at 7, I'm going to go to Big Time Street Food Company, the one down in Thornton Park, and I'm going to eat the last burger there. I'm going to put it out on Instagram later.